Din l-Art Ħelwa wishes to thank Edward Said for his letter (April 6) regarding the sad plight of It-Torri ta' Ciantar, also known as Għajn Żnuber, and wholly shares his concerns. 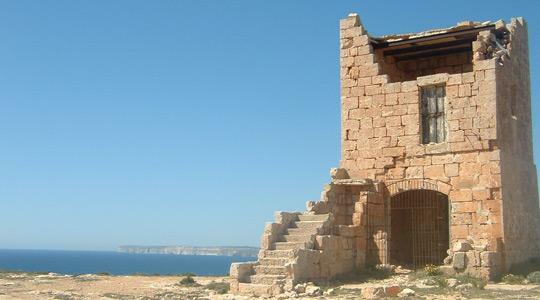 The Torri ta' Ciantar, which is not actually a coastal watchtower but a farmstead built with an interesting configuration, remains an important feature of the stunningly beautiful, rugged cliff edge coastline within the Majjistral Park. It forms part of the rural built heritage that is due to be restored within the park and commands a marvellous viewpoint. Our organisation has already secured important funding through local institutions for the restoration of this particular building and for its conversion into a visitor and information point within the park, which we manage jointly with the Gaia Foundation and Nature Trust. Unfortunately, government authorities have been unable to free the building from titles of occupancy that have been discovered since our federation of three NGOs was given management of the area. With the heavy rainfall that has occurred this winter, there has been further damage to the building and another part of its roof has caved in. Din l-Art Ħelwa shares Mr Said's concern that soon there will be nothing left of it to save and thanks him for the opportunity to bring it to public attention. Din l-Art Ħelwa continues to urge the authorities to resolve the situation with the claims to its ownership so we can proceed with our restoration programme and take emergency measures to secure the building from ultimate destruction.